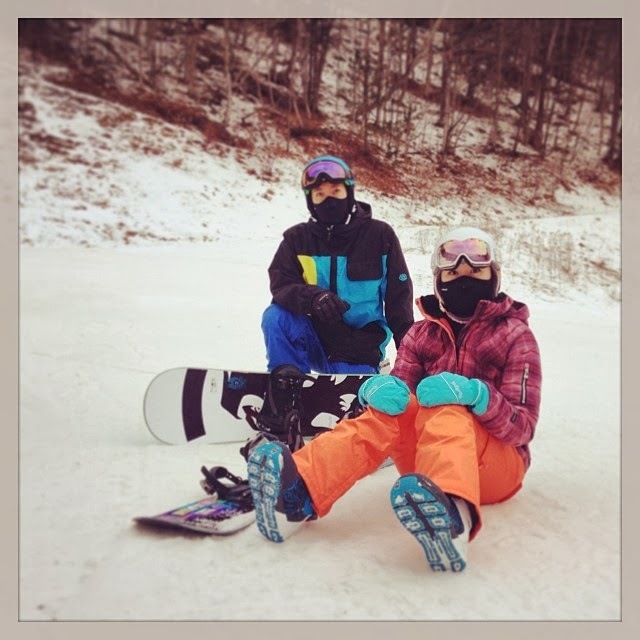 Just got back from a 3 day snowboarding trip with DC Events in Killington, Vermont. Conditions were fair. A bit icy on day 1 with poor visibility due to the fog, but by day 2 things were a lot better. Overall I had a lot of fun and it was nice to get a break from work and poker. But I'm not sure if I would do the bus thing again as it took 11 hours each way! Here's a video I put together from one of the runs called "Great Eastern". It wasn't the most challenging run but the way it flowed and the scenery along the way made it my favourite run from the trip. I drove my STI swapped wagon right to Jay Peak in VT. Less than 8 hours, powder all year round (and this was last year where the ski/snowboard season was really bad in the east coast!). 'Jay Cloud' is some sort of reoccurring weather system that happens to hit that area frequently. It is a smaller hill and resort however, it wasn't busy at all. No line ups either. Only con would be that the nearest town is tiny. No cellphone reception, no taxi's, no ordering a pizza. There is a pub, a small grocery store, a ski/snowboard shop and a restaurant but that's about it!